Spirafix weldable bracket for use with 50mm ground anchors. 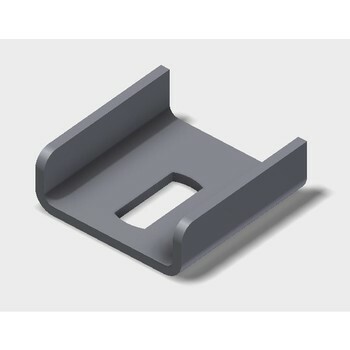 Weld Spiraifx bracket to shed or pig arc, drive Spiraifx anchor down through slot until the anchor head reaches the bracket at which point the anchor is fully installed. Use one Spirafrix bracket and one anchor on each corner to securely fix to the ground. Always protect the anchor head which ensures easy re use of your products. Please see installation tools for further information.